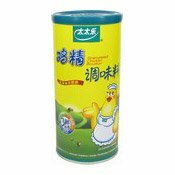 Allergy Advice: Contains Milk, Egg, Wheat, Soybean. 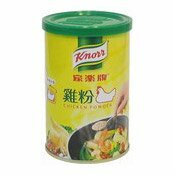 Made on an equipment that crustacean, barley, fish, sesame and mollusc products are also handled. 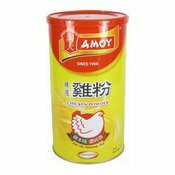 Ingredients: Salt, Maltodextrin, Sugar, Spice, Flavour Enhancers (E621, E635, E631), Corn Starch, Chicken Meat Powder, Flavourings (Contains Milk, Egg), Chicken Fat, Vegetable Oil, Yeast Extract, Soy Sauce Powder (Contains Wheat, Soybean). 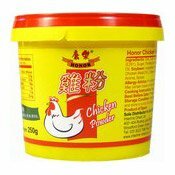 Simply enter your details below and we will send you an e-mail when “Chicken Powder (家樂牌雞粉)” is back in stock!